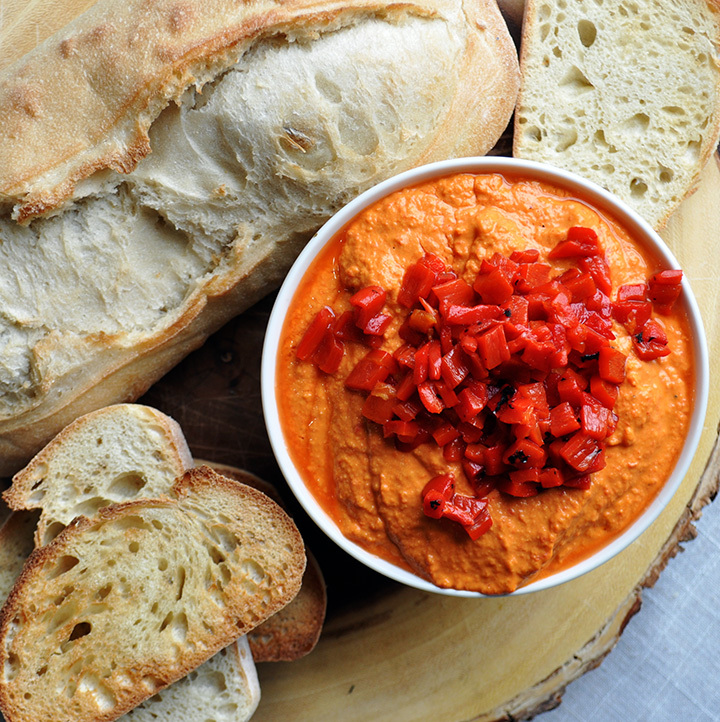 Homemade hummus is ridiculously easy to make and gives you total control over the flavor. 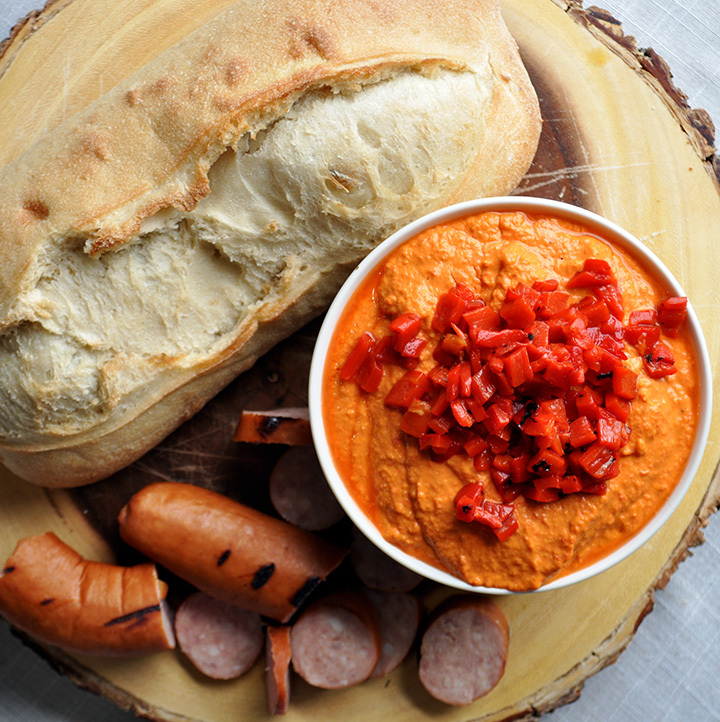 This Roasted Red Pepper version incorporates plenty of roasted red peppers, giving it a gorgeous color, plus a touch of cumin, garlic, and cayenne. 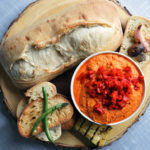 Serve hummus as a delicious dip for bread, crackers, pita chips, or vegetables. Or, grill some marinated veggies and serve in these Grilled Vegetable and Hummus Sandwiches. Add lemon juice and tahini to the bowl of a food process and process for 2 minutes to “whip” the tahini. Add 3/4 cup of the chopped red peppers and all the remaining ingredients. Process until completely smooth, 1-2 minutes. Stop a couple of times to scrape down the sides of the bowl. 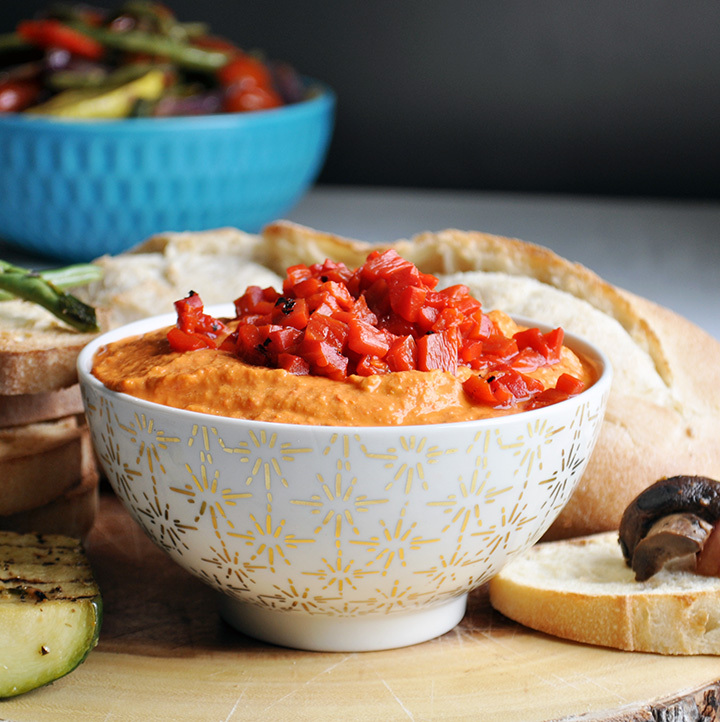 Scoop hummus into a bowl and sprinkle the top with the remaining 1/4 cup of chopped red peppers. Cover and let sit in the refrigerator for at least 2 hours to thicken up a bit before serving.